The turnover in gold increased by 58pc in 2008 to a record $20.2 trillion, according to International Financial Services London, a body that promotes the City of London. Silver trading also saw a dramatic increase during the year, rising by 39pc to a new record of $2.6 trillion. The growth in turnover was partly due to an increase in prices of precious metals during the year, with gold reaching its highest ever price of $1,011 per ounce in March, IFSL said. Daily reported net trading in gold on the London Bullion Market Association (LBMA) averaged $20bn in the first 11 months of 2008, a rise of 45pc on the same period of the previous year. Daily trading in silver on the LBMA increased by 32pc to $2bn. “The actual volume of London market turnover is probably three to five times the reported turnover because transactions which are netted out do not appear in the published statistics,” IFSL added. 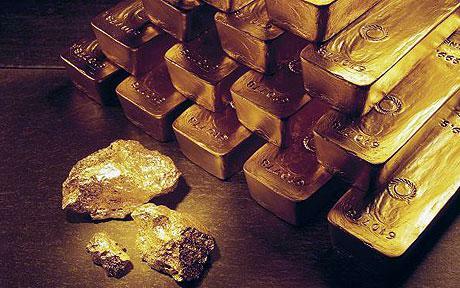 Futures and options trading of gold on exchanges increased by more than 80pc in 2008 to a record $5.1 trillion. Trading of silver also hit a new high, rising by 60pc to a $1.2 trillion. Exchange traded gold and silver funds have been the strongest source of growth in demand since their introduction in 2003, IFSL said. The price of gold is expected to average $910 an ounce in 2009, 4.3pc more than last year, according to a panel of 20 analysts, traders and investors surveyed recently by Bloomberg. But silver and platinum prices will decline this year, the survey predicted.